I just finished a paper model of a new Stewart toroid I discovered a while ago. This has all regular faces and is non-self-intersecting, with genus 41. All edges of the convex hull are also edges of the model (another one of Stewart's criteria). It's a fun investigation of something similar to Johnson solids but with one or two restrictions removed. Been a long time since I read it though. Great model! Pretty paper, pretty colours, precise work. 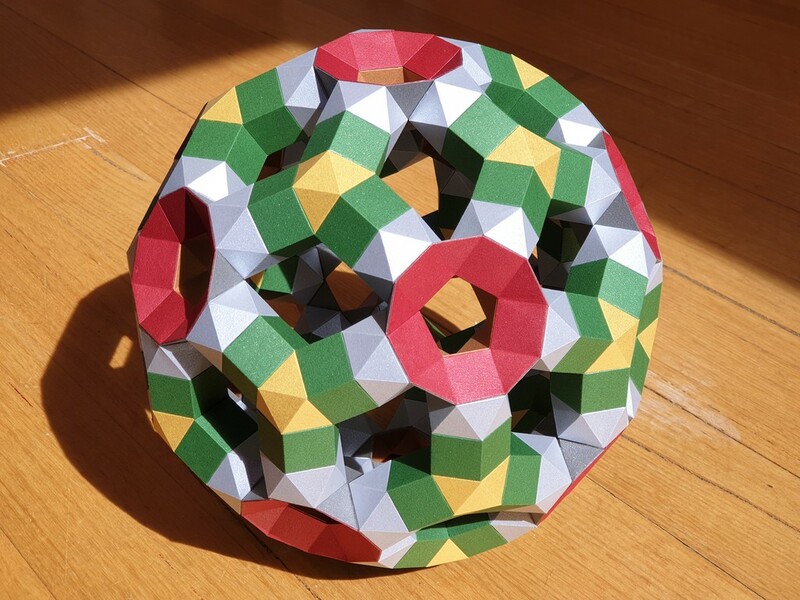 Are the dodecagons and the decagons of the convex hull regular?